St George’s Switches on Solar. 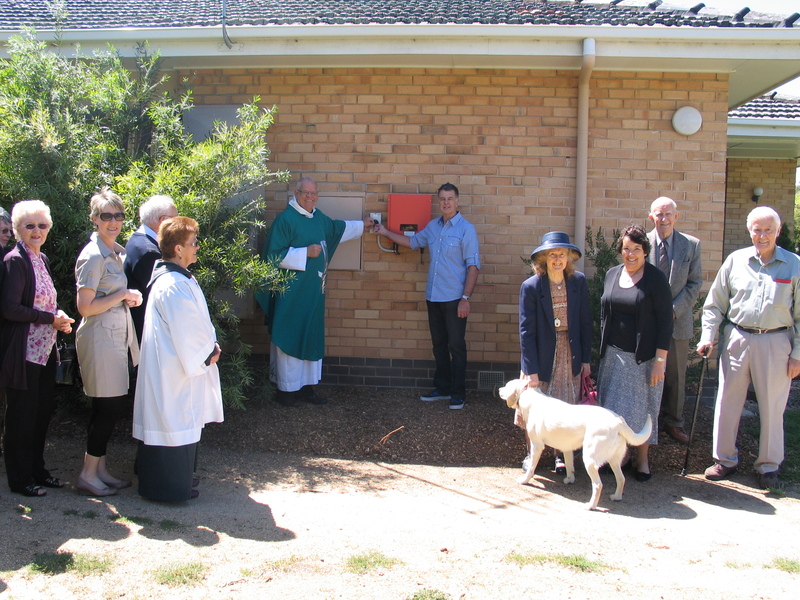 St George’s Numurkah held a “switching on” ceremony after the Sunday service on 21st October. Fr. Kim Benton and churchwarden Rob Elliott, who was instrumental in negotiating the installation and successful application for a grant, “switched on” the solar power inverter. The Parish of Numurkah-Nathalia installed 12 solar panels on the roof of the rectory and a 3kw inverter through GV Community Energy. The Parish was successful in gaining a grant of $5000 from Sustainability Victoria under their Solar in Schools, Community Organisations program. Total cost of the installation was $10.751, less government rebate of $4960, less the grant from Sustainability Victoria, after allowing cost of installation of the smart meter , the cost to the Parish was $1114. It is expected that the cost of the initial outlay will be recouped within twelve months as electricity from the solar panels is sold back into the grid. The installation was part of the stewardship component of the Parish Strategic Plan, where the aim of the Parish is to act sustainably in terms of environmental resources, and follows the installation of a water tank.